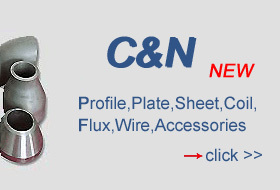 We welcome you visit C&N pipeline Ltd profile, learn our experience and benefit yourself by dealing with us. Our work team have been in pipeline fields more than twenty years,with abundant experiences and resources accumulated these years.We established quick response regulation and strict quality control system. Which facilitate us more quick and reliable in the market.we come true our aim,To serve customers with one stop solution in pipeline fields. With near 20 years growing,our products range broadened from industrial fitting to sanitary,SAE,fitting fields,and these fittings can be produced with the material carbon steel,stainless steel,alloy steel and nonferrous metals. Choosing C&N pipelines,You will be proud for your choice.